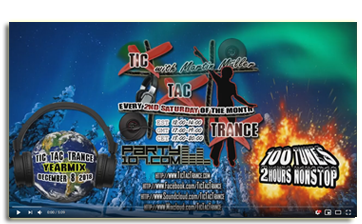 On December 8 2018 the last episode of Tic Tac Trance for this year will air on Party107.com. Episode #132 will feature the Yearmix 2018 and includes 100 of the best trance tunes, which were aired in the radioshow Tic Tac Trance during the year 2018. Click on the image for watching!